Akyüz N., Brandt A., Stein A., Schliffke S., Mährle T., Quidde J., Goekkurt E., Loges S., Haalck T., Ford C., Asemissen A., Thiele B., Radloff J., Thenhausen T., Krohn‐Grimberghe A., Bokemeyer C., Binder M. (2017): T‐cell diversification reflects antigen selection in the blood of patients on immune checkpoint inhibition and may be exploited as liquid biopsy biomarker, International journal of cancer, vol. 140 issue 11, pp. 2535-2544. Oberle A., Brandt A., Voigtlaender M., Thiele B., Radloff J., Schulenkorf A., Alawi M., Akyüz N., März M., Ford C., Krohn-Grimberghe A., Binder M. (2017): Monitoring multiple myeloma by next-generation sequencing of V (D) J rearrangements from circulating myeloma cells and cell-free myeloma DNA, Haematologica, vol. 102 issue 6. Grytz R., Krohn-Grimberghe A. (2017): Service-Oriented Cost Allocation for Business Intelligence and Analytics: Helping Service Consumers to Increase Business Value, International Journal of Systems and Service-Oriented Engineering (IJSSOE), vol. 7 issue 2, pp. 40-57, IGI Global. Christoph Sorge, Artus Krohn-Grimberghe (2014): Bitcoin – Anonym Einkaufen im Internet?, Der gläserne Verbraucher: Wird Datenschutz zum Verbraucherschutz? Bd. 1. Beiträge zur Verbraucherforschung. Düsseldorf: Verbraucherzentrale NRW, 2014. Raphael Grytz, Artus Krohn-Grimberghe (2014): Service-oriented Cost Allocation for Business Intelligence (Working Paper 27.04.2014). Raphael Grytz, Artus Krohn-Grimberghe (2013): Towards Business Intelligence Cost Accounting (Working Paper 22.09.2013). 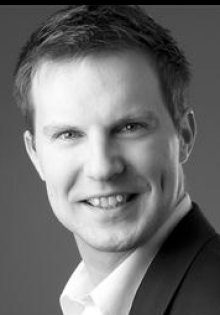 Christoph Sorge, Artus Krohn-Grimberghe (2012): Bitcoin: Eine erste Einordnung, Datenschutz und Datensicherheit 7:479-484. Artus Krohn-Grimberghe, Andre Busche, Alexandros Nanopoulos, Lars Schmidt-Thieme (2011): Active Learning for Technology Enhanced Learning, to appear in Proceedings of the European Conference on Technology Enhanced Learning (EC-TEL) 2011, LNCS, Springer. Nguyen Thai-Nghe, Lucas Drumond, Tomáš Horváth, Artus Krohn-Grimberghe, Alexandros Nanopoulos, Lars Schmidt-Thieme (2011): Factorization Techniques for Predicting Student Performance, to appear in Educational Recommender Systems and Technologies: Practices and Challenges (ERSAT 2011): Santos, O. C. and Boticario, J. G. (Eds. ), IGI Global. Andre Busche, Artus Krohn-Grimberghe, Lars Schmidt-Thieme (2010): Mining Music Playlogs for Next Song Recommendations, in Workshop Proceedings of Knowledge Discovery, Data Mining, Maschinelles Lernen 2010 (KDML 2010). Nguyen Thai-Nghe, Lucas Drumond, Artus Krohn-Grimberghe, Lars Schmidt-Thieme (2010): Recommender System for Predicting Student Performance, in Proceedings of ACM RecSys 2010 Workshop on Recommender Systems for Technology Enhanced Learning (RecSysTEL 2010), Elsevier Computer Science Procedia, pp. 2811-2819. Artus Krohn-Grimberghe, Alexandros Nanopoulos, Lars Schmidt-Thieme (2010): Integrating OLAP and Recommender Systems: An Evaluation Perspective, in DOLAP '10 Proceedings of the ACM 13th international workshop on Data warehousing and OLAP, ACM. Artus Krohn-Grimberghe, Alexandros Nanopoulos, Lars Schmidt-Thieme (2010): A Novel Multidimensional Framework for Evaluating Recommender Systems, in Proceedings of the ACM RecSys 2010 Workshop on User-Centric Evaluation of Recommender Systems and Their Interfaces (UCERSTI), CEUR-WS. Alexandros Nanopoulos, Artus Krohn-Grimberghe (2009): Recommending in Social Tagging Systems based on Kernelized Multiway Analysis, in Classification as a Tool for Research. Proc. 11th Conference of the International Federation of Classification Societies (IFCS-09), University of Dresden, Germany, March 13-18, 2009, pp. 537-544. Mike X. Cohen, Artus Krohn-Grimberghe, Christian E. Elger, Bernd Weber (2007): Dopamine gene predicts the brain's response to dopaminergic drug, European Journal of Neuroscience 12:3652--3660. Sven Forstmann, Jun Ohya, Artus Krohn-Grimberghe, Ryan McDougall (2007): Deformation styles for spline-based skeletal animation, in SCA '07: Proceedings of the 2007 ACM SIGGRAPH/Eurographics symposium on Computer animation, San Diego, California, Eurographics Association, Aire-la-Ville, Switzerland, pp. 141-150.